[Updated with comments at 9:49 am ET, see below] For the first time ever, a medicine using RNA interference, a method of muting a gene before it can make a harmful protein, is headed for an FDA review. If the agency grants a commercial license, it would be a major victory not just for the drug’s developer, Alnylam Pharmaceuticals, but for a field of science that has been on a roller coaster ride for nearly 20 years. 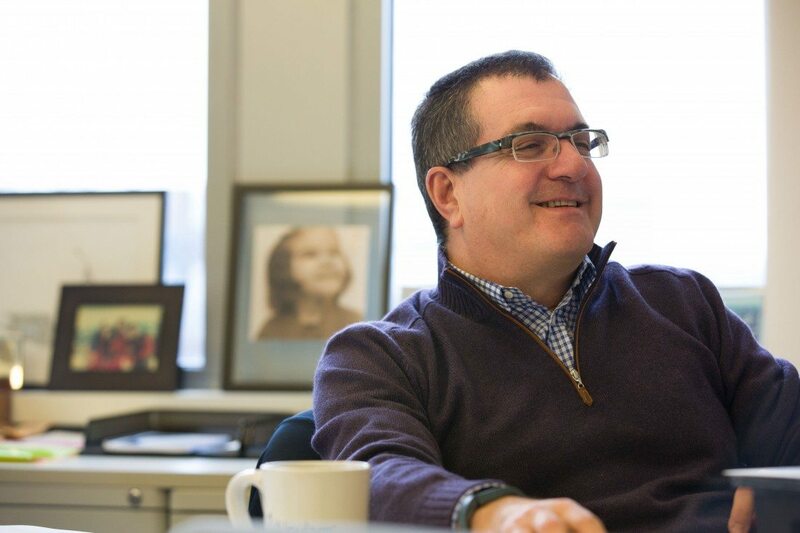 Alnylam (NASDAQ: ALNY) said this morning that patisiran, a drug being developed for the rare nerve disease familial amyloid polyneuropathy, succeeded in a 225-patient Phase 3 trial called Apollo. It helped slow the decline in patients’ neurological function, a progression that is a hallmark of FAP, better than a placebo after 18 months of treatment. It also succeeded on a variety of additional study goals testing the drug against a placebo, including measures evaluating patients’ muscle strength and walking ability. Alnylam, however, only provided the top-line results of the study. It will disclose the actual magnitude of the drug’s benefit when it presents the full data at a medical meeting in November. The Cambridge, MA, firm will now file for approval of patisiran in the U.S. in late 2017 and in Europe in 2018, which might soon make the Alnylam therapy the first RNAi drug to ever reach the market. The main goal of the study was a statistically significant difference on a test of neurological function known as the “modified neuropathy impairment score,” or mNIS+7. Essentially, a decreased score on mNIS+7—which measures things like muscle weakness, reflexes, and response to heat or touch—means patients are improving. A higher score means they are suffering more nerve damage. Alnylam said today, without providing specifics, that the mean and median mNIS+7 score of patients on patisiran in the study had “negative” values, meaning the condition of a “majority of patients” improved. The average change in the mNIS+7 score was significantly lower in the patisiran group than the placebo group, the company said. The drug also led to a statistically significant difference in patients’ quality of life based on the results on a survey called the Norfolk Quality of Life Questionnaire-Diabetic Neuropathy. Furthermore, it led to a difference, compared to placebo, in patients’ muscle strength and walking ability, Alnylam said. The most common side effects patients experienced were peripheral edema (29.7 percent of patients on patisiran, compared to 22.1 percent on placebo) and infusion-related reactions (18.9 percent on patisiran, 9.1 percent on placebo). Alnylam said these side effects were “mild to moderate” in severity. Fewer patients on the Alnylam drug (4.7 percent) dropped out of the study because of side effects than those on placebo (37.7 percent). Additionally, more patients on placebo died (7.8 percent) than on patisiran (4.7 percent). FAP is a form of transthyretin amyloidosis, an inherited condition in which proteins don’t fold into their normal shapes correctly. The misfolding makes them build up and cause damage to the nerves, heart, and other organs. About 10,000 people have the nerve-damaging form, FAP, and they tend to live another 5 to 15 years after symptoms crop up. A different form of transthyretin amyloidosis, which affects the heart, is more prevalent. The only treatments for FAP are a liver transplant or Pfizer’s tafamidis (Vyndaqel), which is approved in Europe but not in the U.S.
Alnylam is heading towards a commercial battle with Ionis Pharmaceuticals (NASDAQ: IONS), which will file for approval of a rival FAP drug, inotersen, by the end of 2017. The Ionis drug is more convenient because it can be injected just under the skin, while the Alnylam drug has to be infused intravenously. But worrisome kidney problems and dangerously low platelet counts cropped up in clinical studies of inotersen. If it is approved, patients will likely require frequent monitoring. Ionis executives have downplayed those issues, calling them manageable and reversible, and countered that patients have to be prepped for Alnylam’s drug with analgesics and steroids, which might lead to complications after long-term use. Alnylam, meanwhile, is highlighting patisiran’s safety profile. Without the need to monitor patients, patisiran might “erase any of the advantages” of inotersen’s convenience, Maraganore said at a conference this month in New York. Alnylam also plans to do “home infusions” for patients in markets where it is possible, Maraganore said.